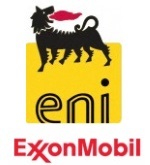 édité le 28/06/2018 - Plus de news de "ExxonMobil" - Voir la fiche entreprise de "ExxonMobil"
ExxonMobil and Eni said that marketing efforts are underway for the Rovuma LNG project, which will produce, liquefy and sell natural gas from the gas fields of the Area 4 block offshore Mozambique. Senior management representatives of the co-venture parties (ExxonMobil, Eni, CNODC, ENH, Kogas and Galp) met today during World Gas Conference in Washington, D.C. to affirm marketing progress. The initial phase of the Rovuma LNG project will develop the Mamba reservoirs in Area 4 and help deliver reliable, affordable energy to customers and create long-term economic value for the people of Mozambique and the project’s co-venturers. ExxonMobil Moçambique Limitada will lead construction and operation of liquefaction trains and related onshore facilities for the Rovuma LNG project, while Eni Rovuma Basin will lead upstream developments and operations. In parallel to the marketing, the co-venturers are also advancing financing activities and working with the government of Mozambique to progress approval of the project. The Area 4 concession is located offshore of the Cabo Delgado province of northern Mozambique and is operated by Mozambique Rovuma Venture S.p.A., owned by ExxonMobil Development Africa B.V., Eni S.p.A. and CNODC Dutch Cooperatief U.A., which holds a seventy percent interest alongside Galp Energia Rovuma B.V., KG Mozambique Ltd. and Empresa Nacional de Hidrocarbonetos E.P., each of which holds a 10 percent interest. ExxonMobil, the largest publicly traded international energy company, uses technology and innovation to help meet the world’s growing energy needs. ExxonMobil is a global leader in LNG project execution and holds an industry-leading inventory of resources, is one of the largest refiners and marketers of petroleum products, and its chemical company is one of the largest in the world.